Blog lag has set in in a big way. Driving, a concert, eating, drinking and chatting to folk have all interrupted my ability to compose but I’m now on a plane to Las Vegas from San Francisco and have a little time at my disposal. All too little as it turned out.I’m finally posting it back at Las Vegas airport after visiting the Grand Canyon and proving a not very good gambler in Las Vegas. 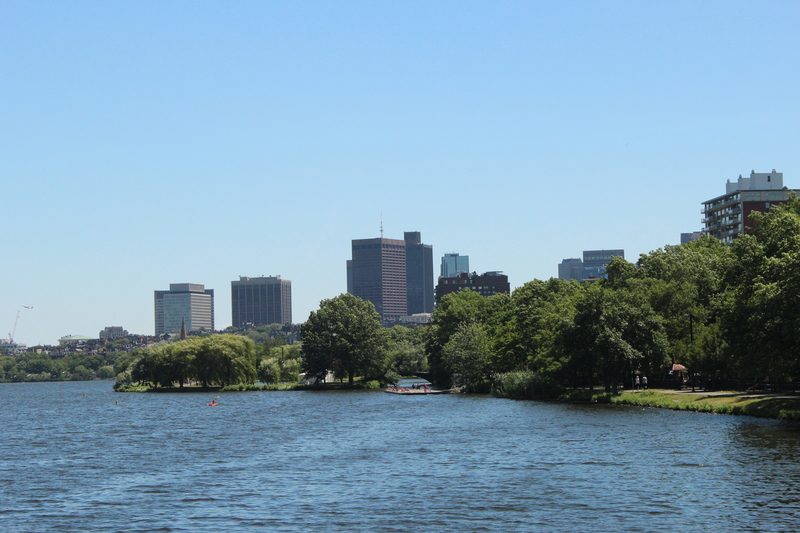 Back in Boston, Sunday dawned warm and bright and after a light breakfast at the apartment we set off for a stroll along the Charles River Esplanade – we’d filmed near the Hatch Shell and nearer the Common but had never walked the western end. It’s a little less congested with the bikers, bladers and runners who occupy the stretch nearer in and made for a pleasant walk or as we were later to discover – a saunter. We soon arrived at Kenmore Square, a convenient location for a quick beer before the ball game. We looked around a bit and then decided on a return to the Eastern Standard where we’d had a great lunch on Thursday. We had a beer and a bloody Mary of high quality Dee reports. The beer inside Fenway Park is truly awful so getting a couple in beforehand is a wise move. We got talking, as you do, to a chef from South Boston who was telling us how much “southie” has changed and what a great place it now is. He did event and personal dinner party catering and part-time cheffing in the convention centre. Nothing has changed in 20 years on the employment front – everybody in America still seems to have several jobs – at least his were all in the area he was passionate about – cooking. 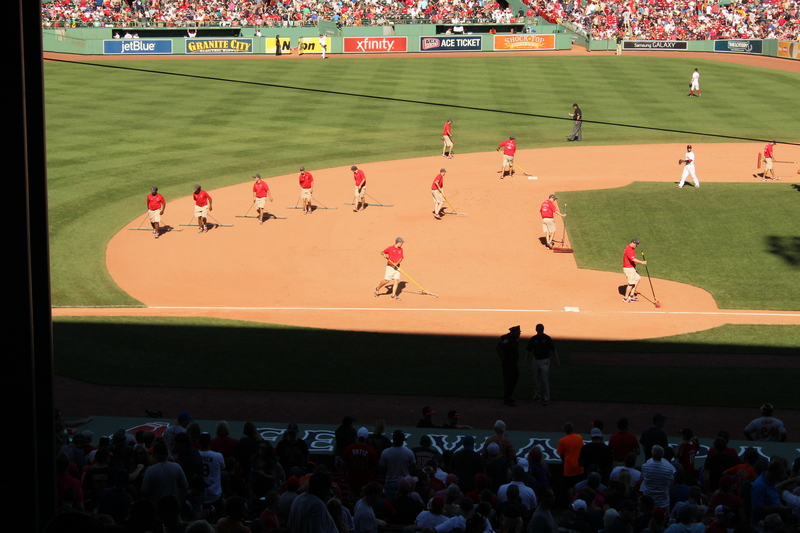 Synchronized pitch raking is always a spectacle and finally Big Papi David Ortiz connected with one. 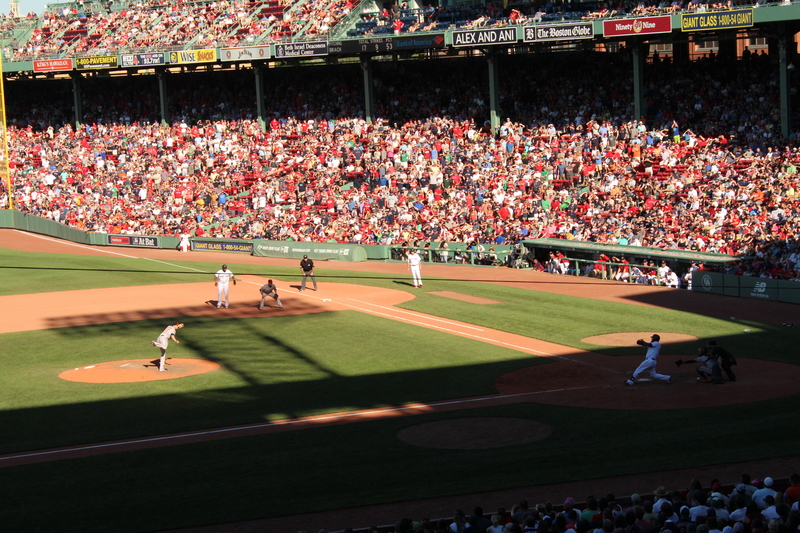 We had harboured hopes that our presence at the home of baseball would propel the Sox from bottom of the American League back in to World Series contention. Nah! It was an attritional game until the sixth when finally some bats hit the ball. However we were already behind by then and although taking the lead were pegged back in the eighth and with a scoreless ninth we were into two extra innings with the Orioles hitting an answered run in the eleventh. So we had value for money in terms of time spent but not in the result. Ah well there’s always next year for the Sox to fly high again. 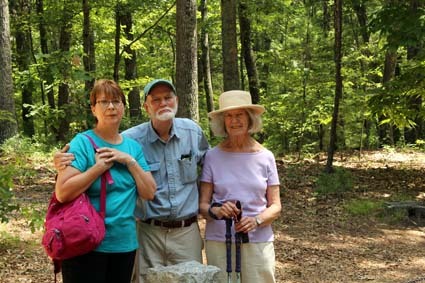 We had arranged to meet our friends Joe and Pat Weiler on Monday to go to Walden Pond to see Joe’s exhibition of photographs Thoreau’s Legacy at the gallery there and then go for a walk to the site of his (Thoreau’s) cabin. We are great admirers of Joe’s work and have several at home and the exhibition was superb. 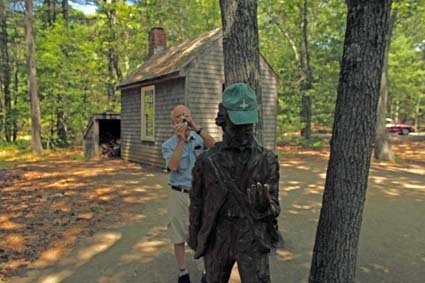 It blended Joe’s artistic vision with his and Thoreau’s concern for nature and conservation in a most thought provoking and dramatic way. We were low on useful dollar bills so Joe bought us some postcards and pencils for our grandchildren on the basis that they write him the postcards and send them back. 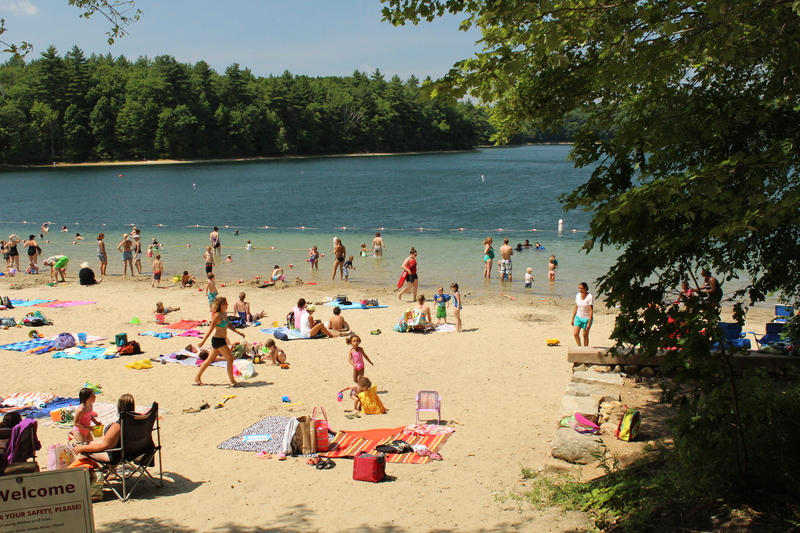 The walk round Walden Pond was excellent and led us to appreciate Thoreau’s concept of sauntering rather than rushing by so as to observe all that is there to see. There’s even, we discovered, a National Sauntering Day on 19 June which we shall be observing in future. The pond is beautiful and there were lots of families enjoying its beaches. We didn’t enter the water but sauntered through the woods chatting about all sorts of issues of mutual interest in a truly delightful morning. Joe and Pat then drove us into Concord where we had arranged to meet Trish Seeney who had been our make-up artist on our first two shoots 20 and 19 years ago. Trish has had a good career after effectively making her debut in the role of make-up, hair and wardrobe with us. She’s lived and worked in LA for lengthy periods but is delighted that the film industry is sufficiently strong in the Boston area to allow her to move back east again. 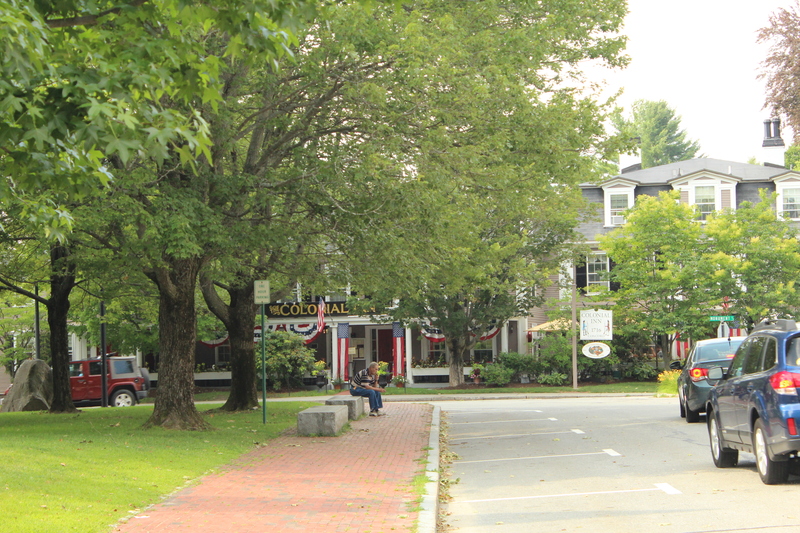 The Colonial Inn in Concord is a great place for lunch or dinner or just a drink. It’s a rambling edifice with little rooms dotted about and a super open air terrace where we enjoyed a couple of hours. 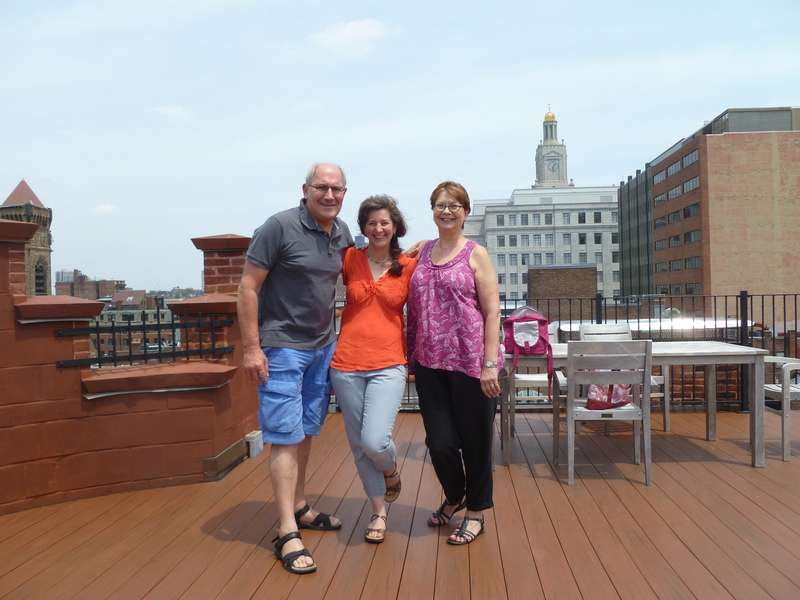 It also brought back happy memories of a visit with Dee’s mum and dad when they came to Boston in 1996. 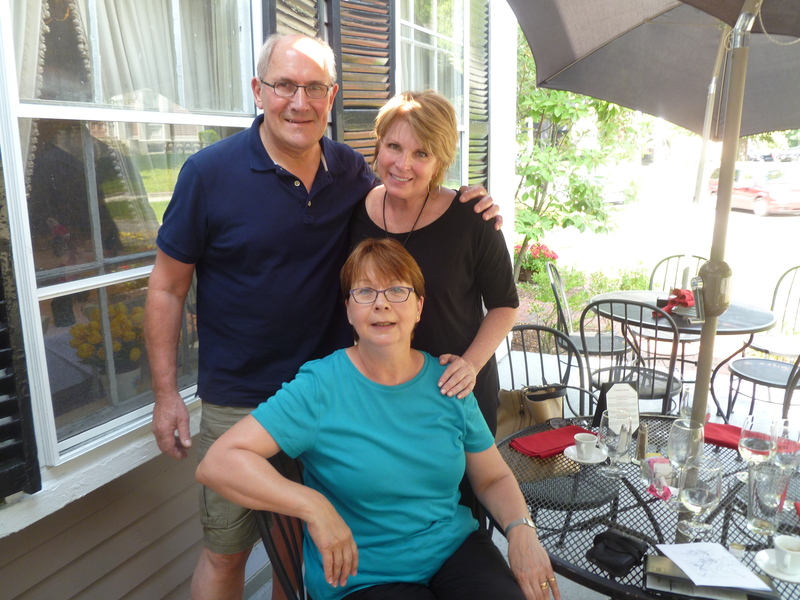 We said our farewells to Trish and sauntered about the lovely town of Concord taking in some antique shops – thank goodness for weight restrictions! – art galleries and some excellent ice-cream. Our cheapo American phone buzzed with a sound we hadn’t heard before. It was a tornado warning over the phone! We walked a little more briskly toward the railway station but got waylaid by the Concord Public Library where Thoreau’s surveying equipment is on display. Along with some excellent archive photographs and a lovely building, it was well worth the delay. We hadn’t often travelled by commuter rail but had a fun journey into Boston’s North Station amazed by the performance of the guard who seemed to issue and collect excessive pieces of paper throughout the journey – although it must be said some regulars did have Oyster Card equivalent so he didn’t have to perform for them. Fetching up at North Station prompted a nostalgic visit to Fours Bar a place we had frequented often and filmed in twice. It’s a great old-style Boston Sports Bar and retains its atmosphere and an excellent tradition of knowledgeable, friendly bartenders. The threatened tornado which had spared us in Concord suddenly struck and we were forced to have another before it stopped and we could walk to the T to travel back home. Tuesday was a total surprise in that Natalie Rose Liberace who had starred in our third year drama in 1996 decided to travel down from Portland, Maine to spend time with us. True friendship well repaid with a lunch at the Salty Pig just up Dartmouth and well recommended in the Improper Bostonian. 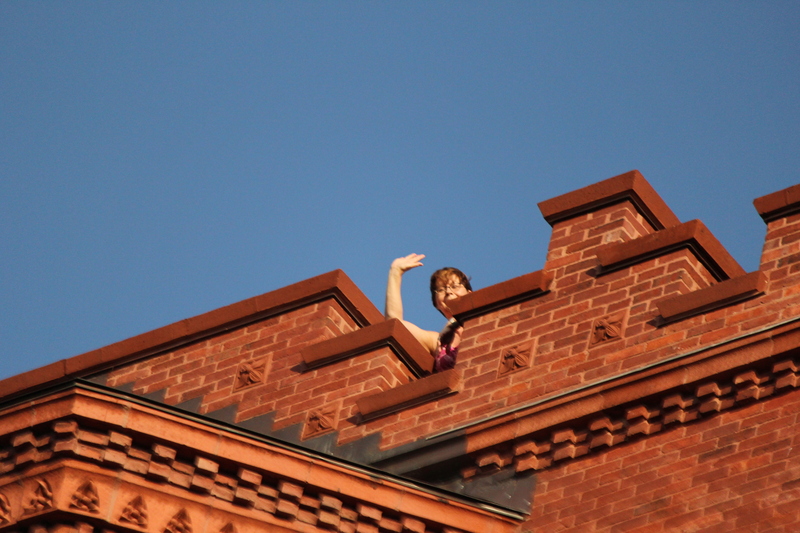 It was great to hear her news – she has put acting on hold for the time being and is working at the Maine State Museum organising the many thousands of items and their storage, as well as working at LL Bean. We lunched outside until the sun became too intense and then moved inside to continue enjoying her company and their great selection of food and craft beers. 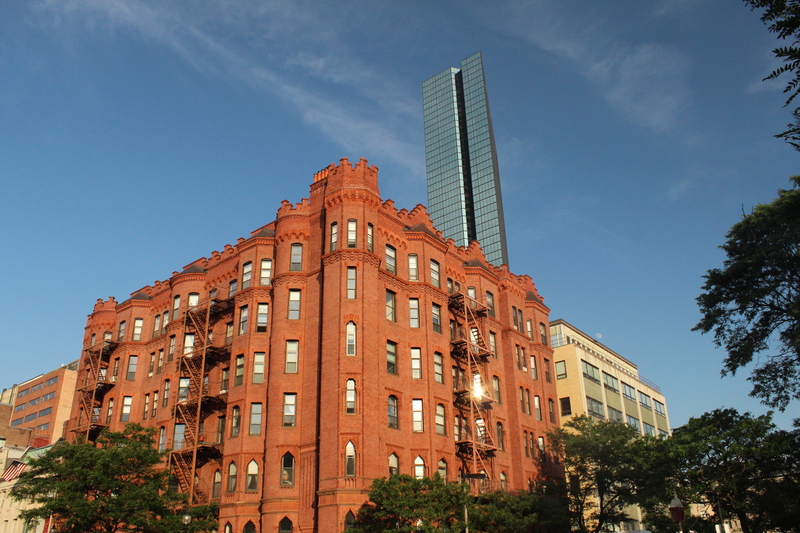 We then walked with her back towards South Station through familiar sights and significant changes in the ten years since we were last here. After “don’t look back” farewells we then sauntered across Boston Common and the Public Gardens bringing back many memories of times spent and shoots wrapped in these iconic locations. 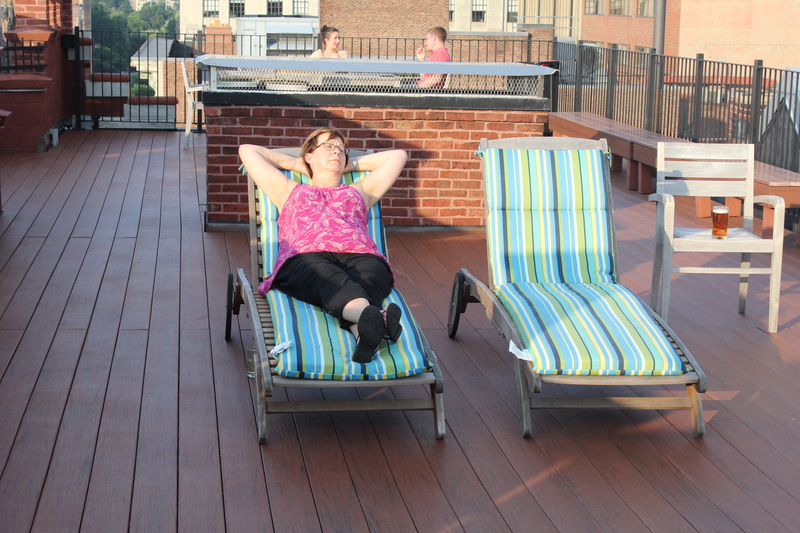 We managed a few moments on the roof deck – our first since the fireworks – and then went out for a quick snack after packing and then the prospect of a 05:20 shuttle to Logan from Copley to catch our flight to LA. Once again our Charlie tickets saw us good for the fare and proved a very wise purchase as we’d had a week of transport all over the MBTA area for $19 each.